This is a Sponsored post written by me on behalf of GRPH. All opinions are 100% mine. temperatures. In addition, it is one of the lightest of all strengthening agents and provides an excellent natural lubrication. It is thus natural that graphite plays an important role in the present-day industrial scenario with uses in spheres ranging from ubiquitous pencils to fuselage, electrodes, steel-making, electronic devices and Li-ion batteries. Interestingly, with the rising demand for batteries, especially Li-ion batteries that are used for laptops, cell phones, digital cameras, etc there has been an increasing demands for graphite, of late. 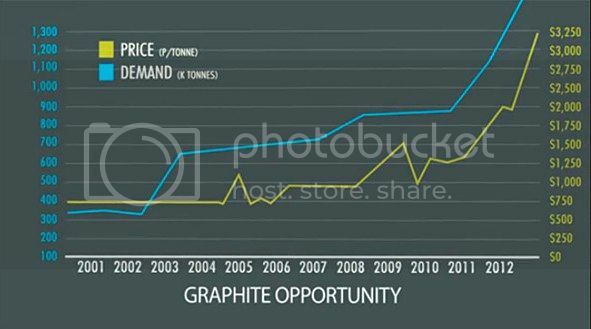 Industrial demand for graphite has been growing at around 5% per year for over a decade. This is primarily on account of ongoing industrialization in China, India and other developing economies. Interestingly, it has not been produced in America in over the last 20 years. Now, with the increasing realisation of its industrial potential, endeavours are being made for higher production. It is here that the Graphite Corporation has been playing a significant role in the production and distribution of this invaluable material. You are in this connection invited to visit Graphite-Corp and sign up for Industry Growth Report Newsletter for further information on the subject. Looking to the existing growth potential, it is expected that the company would hardly need to look back. An investment in the venture at this stage is therefore considered prudent.